Today is the Holy Day of Vasanta-pancami (the fifth day of the light fortnight of the moon, month of Magh, when Krsna is worshipped with the new flowers of spring). On this day, the holy advent of Srimati Visnupriya Devi occurred. Her father was Sri Sanatana Misra of Nabadwip, who was a Brahmana and great devotee of Lord Visnu. Srimati Visnupriya Devi is the Eternal Consort of Sri Gaurasundar in His feature of Gaura Narayana, and according to Sri-Gauranganoddesa-dipika she is directly Satyabhama in Krsna's Dvaraka-lila. She was the second wife of Sriman Mahaprabhu in the householder period of His Pastimes. From childhood, she was devout in the Divine Service of the Supreme Lord. Kasinatha Pandit was the intermediary in her marriage to Mahaprabhu. She was the ideal of Divine Self-surrender at the Lotus Feet of Mahaprabhu. When she was only fourteen, Mahaprabhu took sannyasa, and after that she lived the rest of her life in penance. From early morning she would take the Holy Name the whole day, and for every Mahamantra that she chanted, she would put one grain of rice into a clay pot. After chanting her quota, she would take that rice and cook it and offer it to the Lord. That was all she would take for her subsistence, so gradually she became emaciated. She passed her days in this way. Her brother was her guardian after Sacidevi departed, and ultimately she had a Sri-Murtti (Deity) of Mahaprabhu, and she would worship Him in that Form. And since the time of Visnupriya, that worship is being continued up to the present in the Temple here in Nabadwip known as 'Mahaprabhura Badi' (the Home of Mahaprabhu). So this day of the year is connected with her holy memory, and we may achieve her Grace if we honour this time in her name, discussing her Pastimes. She will be propitiated and Sri Chaitanyadev will also be pleased with us, giving us a step forward in our transcendental march towards Him. 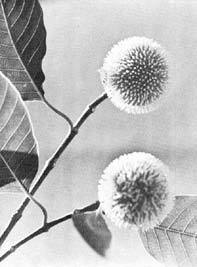 Today is also the appearance day of Sri Pundarika Vidyanidhi. 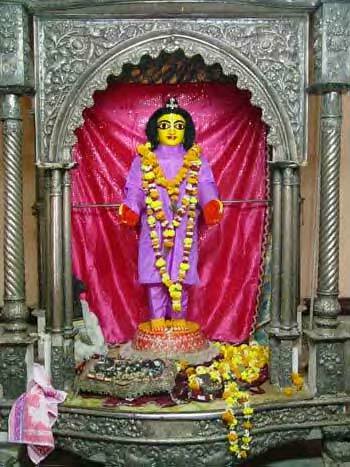 He is considered to be Vrsabhanuraja of Varsana, Vrndavana, the father of Srimati Radharani. Sri Pundarika Vidyanidhi was born in a Brahmana family at Chattagram, and he bore the title 'Vidyanidhi' on account of his scholarship. Apparently he was a man of luxurious habits. In those days, people who could afford it would have a house in Nabadwip on the banks of the holy Ganges river; they would from time to time visit Nabadwip to regularly bathe in the Ganges and remain for some time in this Holy Place, and then return to their homes to continue their livelihood. So, Pundarika Vidyanidhi also had a house in Nabadwip. Here, in Gaura-lila, Gadadhara Pandit was the Representation of Srimati Radharani Herself. At that time, Gadadhara Pandit was a young boy. He was younger than Mahaprabhu. Mukunda Datta was a follower and admirer of Mahaprabhu Sri Chaitanyadev, and he also came from Chattagram, the village of Pundarika Vidyanidhi. He knew Pundarika Vidyanidhi to be a man of higher religious type, that is, a Bhagavata type or Krsna-bhakta. But outwardly Pundarika Vidyanidhi lived a life of luxury. He was a well-to-do man, a general zamindar (state owner). Mukunda Datta naturally knew him when he came to Nabadwip, since he hailed from the same place. Mukunda Datta went to Gadadhara Pandit and asked him, "Would you like to have the darsana of a Vaisnava?" From childhood Gadadhara Pandit was very fond of Vaisnavas and Krsna-nama. He had much fondness for Nimai Pandit, when the Lord returned from Gaya. Previously he was very much afraid of Nimai Pandit, because whenever They met, Nimai Pandit would always tackle him with some apparent quarrel about etymology or something of that nature. So, after returning from Gaya, when Sri Chaitanyadev expressed his Devotional Aspect, He said one day, "Gadadhara, from your very childhood you are a devotee of Krsna, and My days have been wasted discussing grammar and mundane literature. But you, Gadadhara, My friend  your life is very successful. You have fulfilment of life. From the beginning you are fond of Krsna-nama." So, from the beginning Gadadhara Pandit's heart was towards Krsna. Therefore when Mukunda Datta asked him, "Would you like to see a Vaisnava who has come from afar?" the reply came, "Yes, yes, I shall go; take me there." So Mukunda Datta took Gadadhara Pandit to Pundarika Vidyanidhi. And what kind of Vaisnava was Pundarika Vidyanidhi? He was sitting on a luxurious bedstead, smoking a very ornate and valuable pipe. His head was adorned with beautiful oiled curly locks, and many valuable pastes were anointed on his body. Two attendants fanned him on either side. This sloka was chanted by Mukunda in a very sweet tone, and this created a wonderful effect in Pundarika Vidyanidhi. The Bhagavatam says, "Who else but Krsna should we approach? Who can be so kind, so gracious? There is limitless Grace in Him. Why? 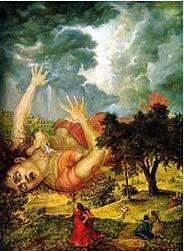 Baki - Putana, came to kill Him in a treacherous way, taking the garb of a dhatri, a motherly garb. In this way she came to try and kill Him; yet Krsna gave her a position as a nursemaid in His group of assisting mothers. So gracious is the Lord. Who else can we approach for our good?" This is the meaning of the verse. "She painted deadly poison on her breast, and came to suckle the boy Krsna. So treacherous was her action. In the garb of motherly affection she tried to murder the boy, and she was given such a high position as an attendant of His mother. She was elevated to the motherly group. Such Grace, such Mercy He showed, without considering or passing judgment on the worth of that action. So other than that kindhearted and gracious Krsna, where else should we go for shelter?" This entered the heart of Pundarika Vidyanidhi and began to vibrate, and produced such force that he was stunned; then shivering began, and madly gesticulating, he began to pull his hair and tear his silken dress, kicking over the tobacco and pipe. His rich bedding and dress were ruined, and he began to roll on ground and cry, kam va dayalum saranam vrajema  "In whom shall we take shelter other than Him?" Then Gadadhara Pandit thought, "Oh, I have committed a great offence in my mind, thinking that he was not a Vaisnava, because of his fashionable dress and style. Really, how great a Vaisnava he is  what a wonderful effect the memory of Krsna caused in him!" Then Gadadhara Pandit revealed his mind. "Mukunda, I have committed offence against this great Vaisnava. What will be my fate? When I first saw him, I shunned him; I committed offence. I think that if I take mantra from him  become his disciple  then he may forgive all my offences. There is no other way to be absolved from this Vaisnava-aparadha. I shall have to inform my Lord Gaurachandra, Nimai Pandit, about this." So they left the place of Pundarika Vidyanidhi, and Gadadhara went to take Nimai Pandit's permission to become the disciple of Pundarika Vidyanidhi. Before anyone knew that Pundarika had come from Chattagram to Nabadwip, and even before Mahaprabhu had met him, Mahaprabhu was seen to suddenly cry, "Bap Pundarik! Bap Pundarik!" In the mood of Srimati Radharani, Nimai was taking his name. Bap means 'father.' So He was calling, "Father, Pundarika! Father Pundarika!" Nimai Pandit was chanting like this, in the mood of Radharani. When Gadadhara made his proposal to Mahaprabhu, the Lord immediately replied, "Yes, very good proposal. Go and accept him at once." Gadadhara Pandit represents Radharani in Gaura-lila, and Pundarika is Radharani's father in Krsna-lila: the Guru is like the father, and the disciple is like the child. So Mahaprabhu at once approved and Gadadhara took initiation from Pundarika Vidyanidhi. He was none other than Vrsabhanuraja, and Gadadhara was the incarnation of Radharani in Gaura-lila. Pundarika Vidyanidhi would not take bath in the Ganges because he could not tolerate that his feet would touch the holy Ganges river. Before daybreak, he would go to the Ganges and take some of the water on his head. He did not go to the Ganges by day, because he could not tolerate to see persons who would dive into the water or spit there and contaminate the pure, holy water by misusing it. Before worship, prayer, etc., the general pandit section may bathe in the Ganges and fast to purify their bodies of sin. But Pundarika Vidyanidhi would rather drink some Ganges water prior to his daily worship and duties, thereby teaching us the proper worshipful respect due to the Ganga. In Puri, his dearmost friend and associate was Sri Svarupa Damodara. When he went to Puri, he felt some pain in his heart that the priestly servants of Lord Jagannath dressed the Lord in starched cloth, which is generally considered impure. When cloth is manufactured by handloom, the thread is soaked in boiled rice water which acts as a paste to hold it firm in the loom. That cloth is considered impure, and must first be rinsed in water before offering it to the Deity. But in Puri, that was not the practice. 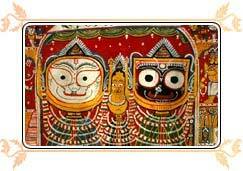 They directly used starched cloth for dressing Lord Jagannath, and Pundarika Vidyanidhi could not accommodate this. Both Jagannath and Balaram came to him and dealt slaps to his cheeks. cheeks, saying, "You have come here to point out the defects in My servitors? What is this!" dream was so intense that when he rose in the morning he found that both his cheeks were inflamed. He expressed to his most intimate friend, Svarupa Damodara: "My dear friend, Svarupa Damodara, such is my position. I had this objectionable feeling in my heart towards these servitors, so Jagannath and Balaram have punished me in this way. See the swelling on both cheeks!" Thirdly, this is also the birthday of Raghunandana Thakur. He was born in a place named Srikhanda, near Katwa, in a Kaviraj family, a lineage of Ayurvedic doctors. Raghunandana was the son of Mukunda Kaviraj, who was such a notable doctor that even kings called for him for treatment. Raghunandana was a bachelor his whole life. His figure was extraordinarily beautiful, and he was very fond of dancing. From the beginning he was, of course, a natural devotee. The family of Mukunda Thakur worshiped their ancestral Deity at home. Once, when Raghunandana was a growing boy, who had perhaps only recently received the sacred thread and admission to worship, his father asked him, "I'm going out and won't return in time. You please worship the Deity and feed Him  offer bhogam for His food." His expression was, "Please try to feed my Deity." "Please take these dishes I am offering You  please eat." But the Sri-Murtti did not answer or come forward to eat. Raghunandana began to cry. "My father will rebuke me! He has requested me to feed You, and You are not eating. I'll be punished. You have to take this food!" The sincere boy began to cry in such a way that Krsna had to eat. Raghunandana was satisfied, and came out from the Deity room. His mother came to remove the Prasadam. "What is this? All the plates are empty!" "You asked me to feed the Deity. He has taken." "You, boy, you have eaten it! The Deity doesn't eat. We offer, everything remains, and afterwards we take the Prasadam. You wicked boy, you have turned out to be such a rogue  you have eaten everything." "No, no, I did not eat, the Deity ate everything." "This is impossible, you foolish boy! Do you want to make a fool of me? This can never happen!" "No, I'm speaking the truth." "Alright, let your father come, and I shall ask him to punish you." "Your boy has grown to be such a rogue! He says the Deity has eaten." "Yes, the Deity has eaten. He would not take in the beginning, but I began to cry, and then He ate." "Yes, it is true my father, I am not lying." Such a devotee was Raghunandana Thakur. When he danced in Sankirttana, it was such a charming scene that even Mahaprabhu was attracted. During the Jagannath Rathayatra seven special groups would chant and dance, and in the party from Srikhanda we find that Raghunandana was the dancer. So today is the day connected with the memory of Sri Raghunandana Thakur, who is considered to be Pradyumna Avatara. Many more incidents occur in his pastimes  I have only touched on them. It is also said that near the banks of the lake Madhu-puskarini there is a Jambu tree, and according to his wish two Kadamba flowers bloom on that tree every day for the worship of his Deity. Many miracles are found in his pastimes.